Conducting a network speed test helps ensure that computers and devices on your network are getting the data flow and performance your users need. There are dozens of tools you can use that vary in price, feature sets, and necessary technical aptitude for proper usage. Some tools require little more than a basic understanding of network administration to use. Others may require an academic technical background to take advantage of their full range of features. Generally speaking, the simpler tools tend to be adequate for analyzing traffic for many SMB networks. The more complex programs bundle in security features and add more robust data analysis along with tools for running a network speed test. As a business grows, these features become quite valuable. Here are five reputable and (mostly) free pieces of software that will gauge network speed for organizations that range from a handful of seats to a medium size business. 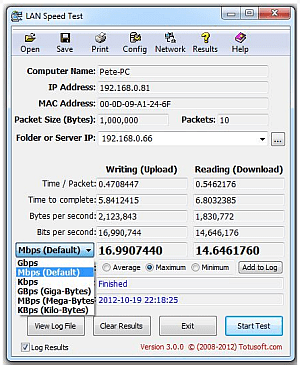 Features: This simple bandwidth meter monitors Internet connection speeds.. It displays historical data on a chart and can export the numbers to a spreadsheet file. The program installs on a single machine so it best suited for very small environments. Features: This simple but powerful tool measures LAN speed, file transfer, hard drive, and USB drive speeds. It uses a portable executable format and does not need to be installed onto a computer to operate. It works by creating and sending a test packet across a network. The free lite version allows a packet size up to 9 GB. Upgrading to the full version opens more features, like simultaneous packet streams and alert functions. Features: The open source freeware Iperf measures transmission control protocol (TCP) and user datagram protocol (UDP) data streams while measuring overall network throughput. It is a cross-platform tool that is ideal for mixed OS environments. While Ipef is controlled via command line, it is also accessible with a GUI frontend called JPerf. Cost: Free up to 100 sensors—defined as one aspect that you monitor on a device. Tiered pricing ranging from $1,600 for 500 sensors up to $13,500 for unlimited. 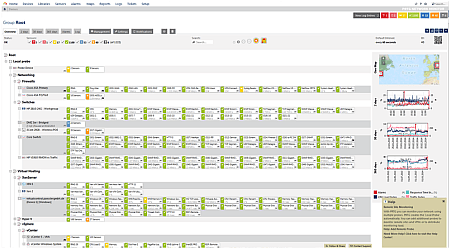 Features: PRTG is built to monitor a medium-sized office network. PRTG Includes packet sniffing, supports simple network management protocol (SNMP),Windows management instrumentation (WMI), and vendor-specific networking languages NetFlow, jFlow, and sFlow. 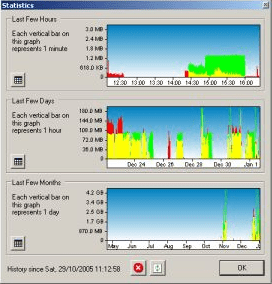 It monitors and tracks network data in a feature rich browser-based UI. 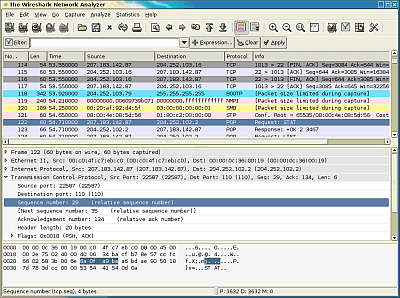 Features: Wireshark is an open-source, professional grade protocol analyzer used by networking specialists and security experts. To utilize its full range of features probably requires formal technical training, though the Wireshark online community offers extensive materials for those willing to get acquainted with it. Its capabilities extend far beyond a network speed test—think of Wireshark as equal parts network analyzing tool and security software. Let us know your tool of choice for conducting a network speed test and tracking network performance in the comments. Conducting a network speed test helps ensure that devices are getting the data flow and performance your users need. Here are five (mostly) free tools. This is a good post, Mr. Lovinus, thanks for putting it up. All network admins should know of all these programs, even if they never use them. I’ve personally used them all except for BitMeter. Good stuff! Appreciate the kind words, Lawrence! Nicely done Adam.. PRTG works great..
How do I find where these software companies originate from or supply updates from? I am thinking in terms of cyber security and “country of origin”. I’m not sure if I am asking the right question – but how does a normal user find out if they are installing software originating from, say, China? Should not there be full disclosure these days?